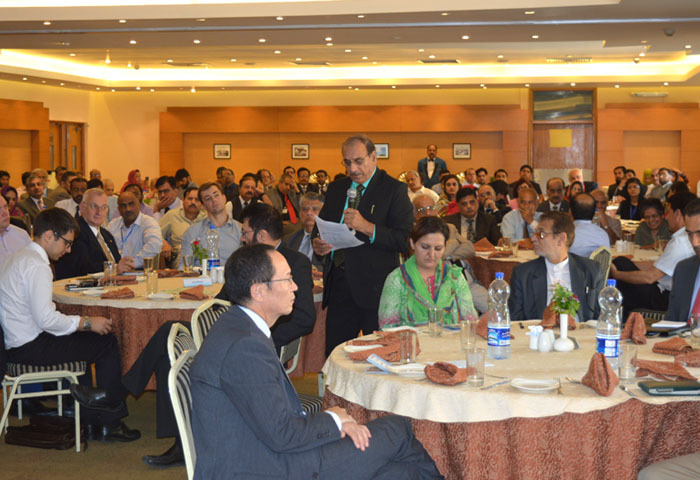 Foreign missions of Embassy of China, European Union, and Palestine and delegates from UNIDO and UNDP and CIIT, Pakistan, endorsed the importance of South-South Cooperation for exchange of resources, technology, as well as knowledge between the developing countries of the global south at a forum conducted to celebrate United Nations Day for South-South Cooperation. 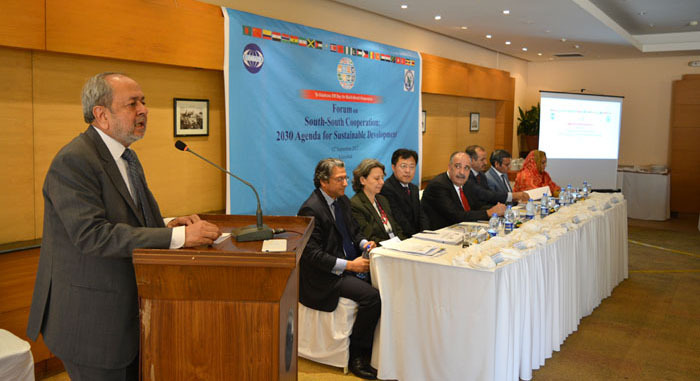 The forum, themed ‘2030 Agenda for Sustainable Development’, was organized by the Commission on Science and Technology for Sustainable Development in the South (COMSATS) with support from the Institute of Peace and Diplomatic Studies (IPD) on 12th September 2017. 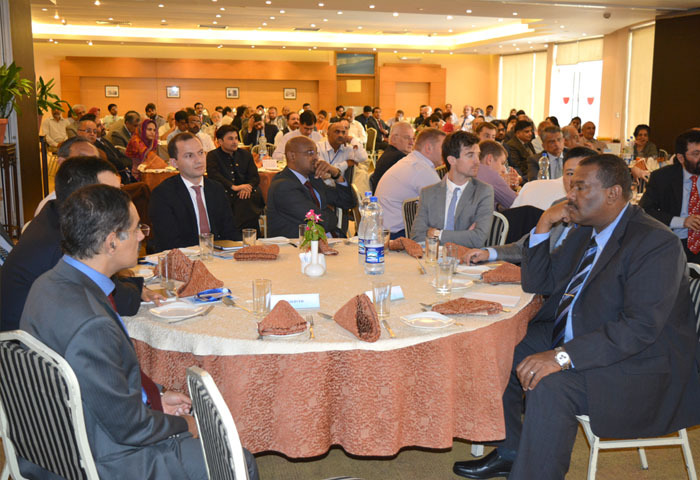 The event, held in Islamabad, had a strong attendance of over 110 from foreign missions in Islamabad, academia, R&D institutions and government representatives of Pakistan, as well as think tanks and international organization, and media. The representatives of foreign missions in Islamabad belonged to Iran, Malaysia, Tunisia, Oman, Sudan, Kazakhstan, Turkey, China, Kenya, Uzbekistan, Tajiskistan, Kyrgystan, Russia. In his welcome address, the Executive Director COMSATS, Dr. S. M. Junaid Zaidi, thanked the speakers for sharing their valuable thoughts during the course of the event. He introduced COMSATS as the highest level forum for Science and Technology of the South, with Heads of States comprising its Commission. Dr. Zaidi informed that, taking its efforts of South-South cooperation forward, COMSATS is trying to establish new Centres of Excellence in COMSATS member countries, as well as working to expand the Network’s horizons to the North. The target of the organization is to at least achieve 50 members in tenure of 4 years. More and more collaboration is sought from the institutions and organizations in the North to increase the efficacy of the organization’s efforts for South-South cooperation in S&T for sustainable development. He advocated the need for utilizing the North’s experience for upgrading the institutions in the South. Mr. Zhao Lijian, Deputy Head of Mission, Embassy of People’s Republic of China to Pakistan, noted that China is on the mission to eradicate poverty and attributed its development to the efforts made in this regard. China, he noted, has eradicated poverty at a fast pace. With the formation and country wide implementation of proper laws, 700 million Chinese people have been raised above the poverty line, although 40 million people are still below the poverty line. China has planned to eliminate poverty by 2020. Mr. Lijian stated that the Chinese government has provided subsidies for education as well as health. Ecological conservation has also been made a priority for improving the lifestyle of people. He expressed that poverty can also be reduced by accelerating economic development by means of necessary infrastructure development in healthcare, education, transportation, etc. H.E. Mr. Walid Abu Ali, Ambassador of State of Palestine to Pakistan, expressed his country’s commitment to South-South Cooperation despite being under occupation. Faced with a number of challenges, Palestine vows to work for Science and Technology based economic development in the South. He also highlighted the need to prioritize Africa while making such efforts and enhance the continent’s representation in Science and technology-led platforms, like COMSATS. Ms. Anne Marchal, Deputy Head of Mission, Delegation of the European Union to Pakistan, noted that Science, Technology and Innovation are powerful tools for achieving sustainable development with due consideration towards climate change concerns of all the countries striving for and trying to sustain development. The 2014-2020 targets of European Union, she noted, are to enhance education and governance, provide public services, and contribute to peace and development. Mentioning Horizon 2020 (an EU project providing research and development opportunities in developing countries) in this perspective, she expressed that the goal is to produce world class scientists who work for the development of countries of the South as well as the North. Mr. Esam Alqararah, Country Head, United Nations Industrial Development Organization (UNIDO), stated that his organization is working to promote South-South Cooperation not only through public sector but also private sector and NGOs. Bilateral and multilateral cooperation between developing countries is required for efficient sharing of knowledge, technology transfer, and designing of innovative programmes. He looked forward to having effective collaborations with COMSATS for reaching out to its member states with relevant initiatives. Speaking on the occasion, Mr. Shakeel Ahmad, Assistant Country Director (Development Policy Unit), United Nations Development Programme (UNDP), highlighted the financial aspects of the Sustainable Development Goals. He believed that without due allocations of resources and pooling, the objectives and gains of these goals cannot be achieved. He believed that despite a fewer opportunities than challenges, the global South is emerging, but the transition from under developed state to developed state will take time. Ambassador (R) Shahid Kamal, Advisor, Centre for Climate Research and Development (CCRD), COMSATS Institute of Information Technology (CIIT), Islamabad, who also moderated the Forum, shared his thoughts regarding the growing importance of the South, relevance and increasing involvement of North, role of Science and Technology in South-South Cooperation, and collaborative partnerships and programmes. He believed that ten out of the total seventeen SDGs are related to Climate Change one way or the other. Underscoring the role of science and technology, he considered it absolutely crucial for the developing countries to be able to get ahead in the competitive world. The discussion and Q&A session at the end of the event touched upon the themes of: sustenance of S&T facilities and resources in the South for it to be able to exploit them for sustainable development; resilience of the traditional base in countries that have greatly alleviated poverty; and the narrative of brain drain vs. brain gain. Ms. Farhat Asif, President, Institute of Peace and Diplomatic Studies, concluded the event with a vote of thanks.